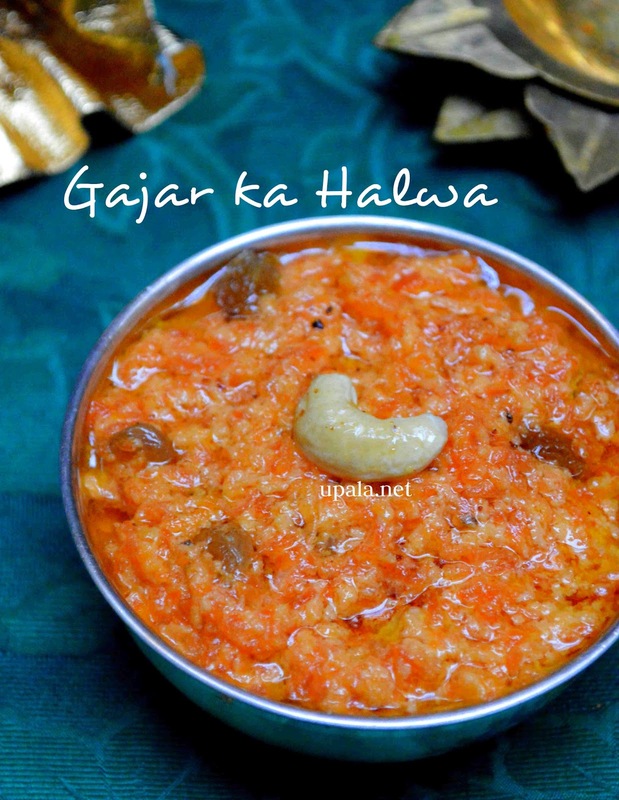 Carrot Halwa (Gajar ka Halwa) is one of the favourite desert.I made it more healthier by adding Organic brown sugar instead of the normal one. It came out so well and I didn't see any difference in taste. 1) Heat a tbsp of ghee in a heavy bottom kadai. 2) Add grated carrot and fry in low flame for 5 mins till they change to pale colour. 3) Add milk and let it boil in medium flame also it requires occasional stirring. 4) Meanwhile split the whole cashews into two halves and add the paneer to warm water. 5) Once this mixture reduces to half the quantity, add cashews, raisins and saffron. 6) Now take the paneer from water and kneed it nicely and keep aside. 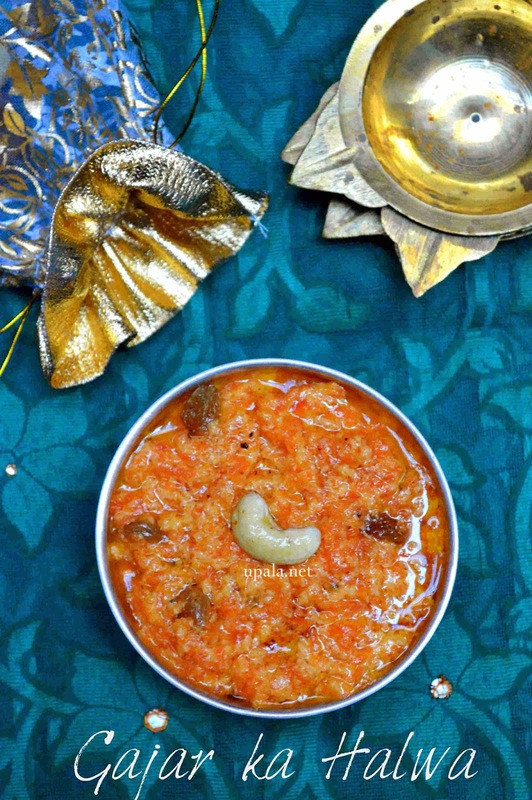 7) This mixture will reach a thick state and carrot gets cooked nicely. 8) Add the kneaded paneer to the mixture and mix well. 9) Add organic brown sugar, ghee and cardamom powder and mix well. 10) Keep on stirring for few minutes to get halwa consistency. 11) Hot and tasty halwa is ready to be served. 12) While serving add sliced badam and a tsp of ghee over hot halwa. 1) You can replace brown sugar with normal sugar too. 2) Paneer can be replaced with khoya. 3) Condensed milk can also to added instead of paneer. This will save some time. Alter the milk and sugar quantity accordingly. 4) You can also roast the cashews and raisins in ghee and add it.